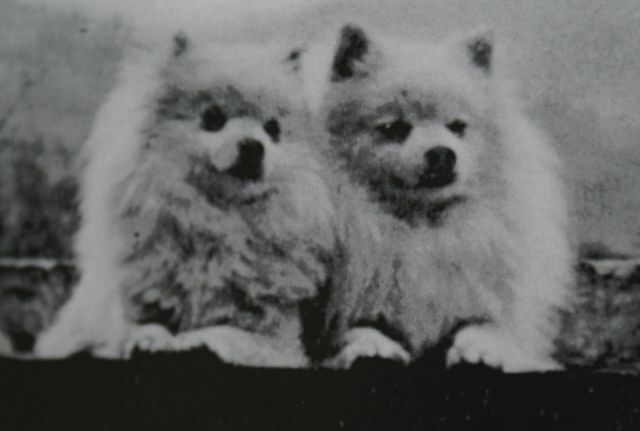 Once, the Volpinos were very common and they were the favourite companionable dogs of the Florence and Rome aristocracy, and they were interned into the sitting rooms of the ladies who fondled them beyond measure. They also were the dogs of the lower classes, in particular of the carters who transported goods with big carts, drawn by strong horses. The Volpino was an inseparable carter mate, because he was always on guard and ready to give the alarm if somebody got next to the cart during the stops, in fact he is a dog with the characteristic of being very faithful to their owner and to his things, he never moved away from the cart and for this reason they were a precious help for them. 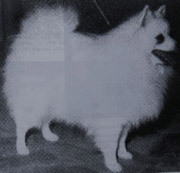 The Volpino belongs to the 5thgroup spitz and primitive type. 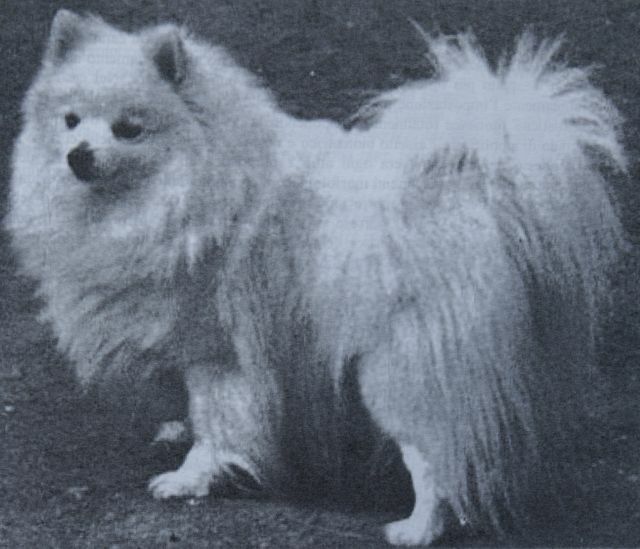 It’s a spitz of little size, collected, harmonic, covered with raised and long hairs. The head has a squared structure, and a pyramid shape and it’s long nearly the 4/10 of the length of the trunk. He is very fond of his home and his family, he has a great temperament, lively, happy and full of joy, it’s an healthy dog, and rather long-lived . The cranial region has ovoidal shape, the direction of the cranial-facial axes is a little convergent. The stopit’s rather marked. The nose is wet, fresh and the bridges are well opened, and it is always black. 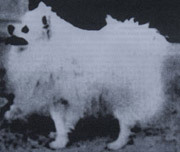 The muzzle has a lower lengththen the cranium and it is pointed. The lips are black pigmented, the teeth are white and the incisorshave a scissor closing . The eyes are well opened, the size is normal, and they reveal attention and liveliness. The colour of the iris is ochre and the pigmentation of the palpebral margins is black. The ears are short and straight and have triangular shape, they have stiff cartilage and the internal face is ahead direct. They are at the top of the head and they are at close range. The length of the ear is about the half of the length of the head. The length of the neck is like the length of the head, it is always straight and the skin is adherent. The structure of the trunk is squared, its length, measured from the top of the shoulder to the top of the buttock, is like the length of the withers. The tail situated on the line of the rump is constantly rolled up on the back and its length is a little lesser than the withers. The front limbs are perpendicular and parallel. The lower limbs from the buttock to the ground are like a vertical line. They are also parallel. The hair is bushy very long and straight and it’s weaving is vitreous. It shouldn’t be falling. The trunk seems to be wrapped in a muff in particular on the neck where it forms a wide collar. The tail is provided with very long hairs. The colour is white monochrome, red monochrome and champagne. The height of the withers goes from 27 to 30 cm for males and from 25 to 28 for females. 3 cm of margin is allowed. The particular weaving allows the Volpino to stay clean naturally. They shouldn’t be washed often to don’t damage the functionality of the sebaceous glands. Just with some brushes your dog will became clean like if he has just been washed.